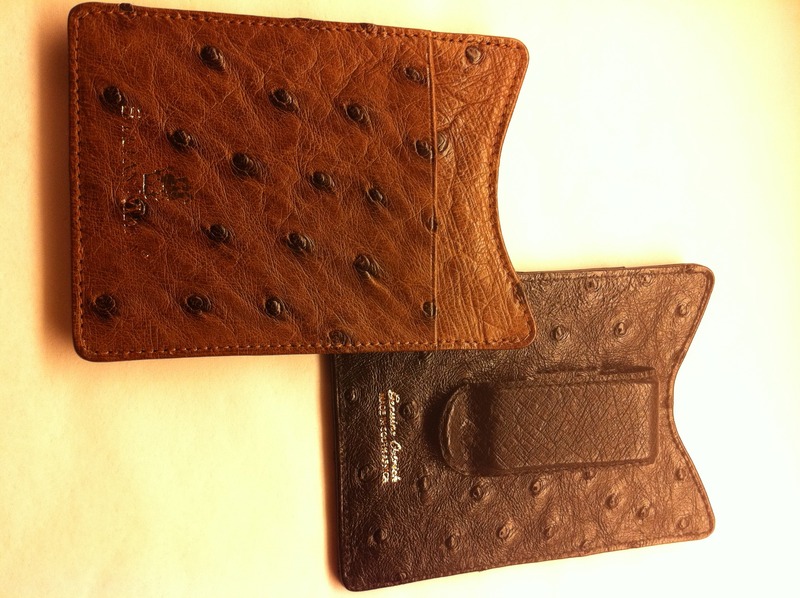 Stefan Mann Ostrich Cardcase Moneyclip is Full Quill Ostrich with leather lined top pocket. Front and back are featured. Elegant, durable and stylish! 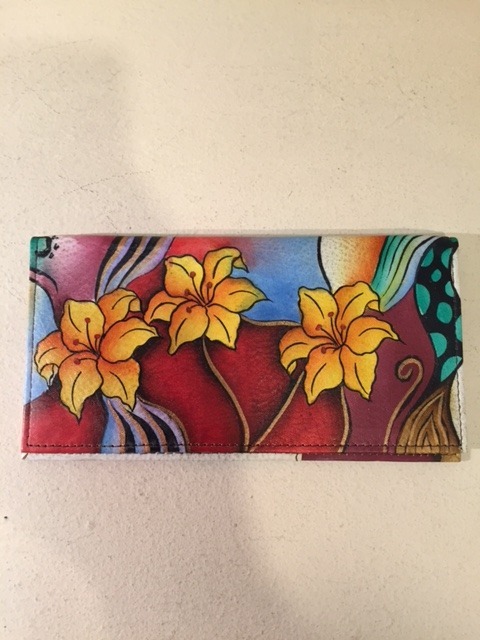 The perfect gift for him or her! Kango and Black are featured. 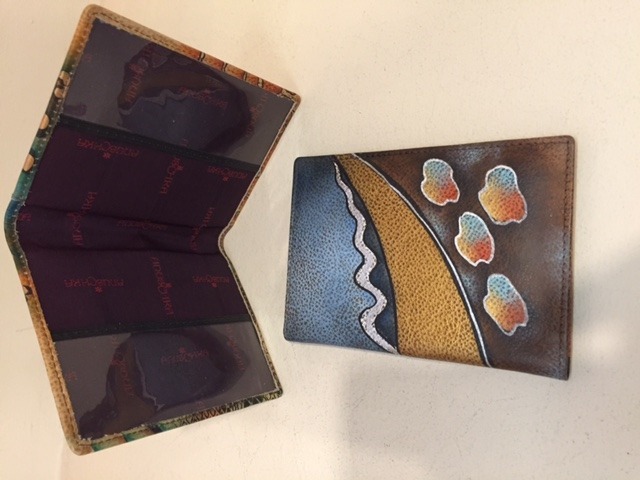 Stefan Mann Ostrich Full Quill Card Case Money clip in Black features a vertical card slot front with the ostrich covered metal money brace on the rear, and a top entry leather lined pocket for cards.